It all began when a reader wrote in asking for a chronology of the X-Man called Gambit. What followed took me from the Claremont era through the Rogue romance of the ‘90s, with Gambit’s secret ties to Sinister revealed in Uncanny X-Men #350. In the years that followed, he redeemed himself and even led an X-team on occasion. Out of the primary universe, Marvel had decided that drastic action was needed to kick-start the X-Men universe once again. Their solution span out of House of M, where the Scarlet Witch’s powers rewrote reality. 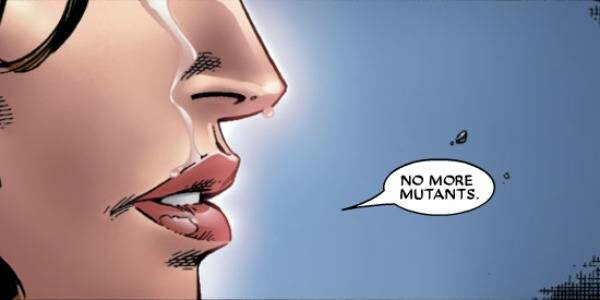 Wanda spoke three fateful words: “No more mutants.” The mutant race was decimated, reduced from millions to a couple of hundred, and the X-Men were left reeling. Three words that changed the history of the Marvel Universe. Yes, all comics try to make out that their events matter. This actually did! “Gambit chose to throw in his lot with Apocalypse during the ‘Blood of Apocalypse’ storyline, which Peter Milligan wrote… Gambit didn’t do this because he’s given up on the X-Men, but because he felt that Apocalypse needed to be watched closely. He knows himself and he trusts his own judgment. He doesn’t know and trust many other people. He places himself close to Apocalypse so that somebody can pull the plug if it looks like it needs to be pulled. It all went wrong. Gambit’s mind was changed as well as his body, and this new persona – this new Death – battled against the X-Men at Apocalypse’s side. It was only when Death came within a hair’s breadth of killing Rogue that Gambit came to his senses. Gambit and Sunfire – who had also been twisted by Apocalypse’s technology – fled, and in X-Men #187 they encountered Sinister. Sinister had knowledge of the future, including of dangerous threats that could destroy Rogue; he know of the coming of the Messiah Child, who would restore the mutant race, and whose touch was Rogue’s only salvation. Gambit agreed to work with Sinister once again. Whatever Sinister did, it restored Gambit to normal, burying the Death personality. Gambit allied with the Marauders and the Acolytes in hunting down Destiny’s Diaries (X-Men #200, Cable and Deadpool #42), and wound up working alongside Mystique as well when she too betrayed the X-Men (X-Men #202-204). It all culminated in the events of Messiah CompleX, with Gambit and the Marauders taking on the Purifiers and hunting Cable and baby Hope across the world. Finally, on Muir Isle, the Messiah Child’s touch healed Rogue but Gambit once again trod a solitary path. 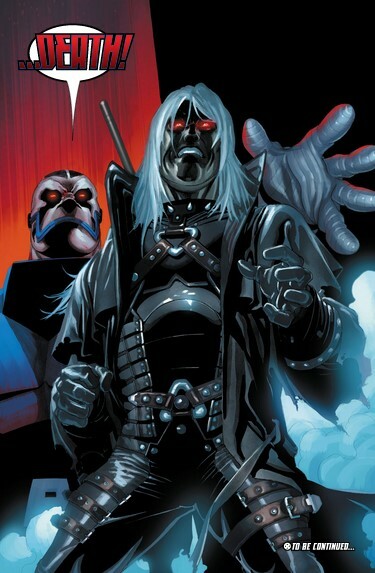 Sinister was killed by Mystique, freeing Gambit at last from his dark influence. 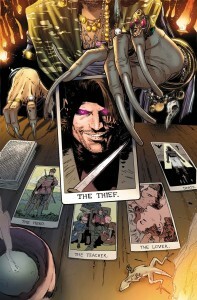 Remy remained a constant member of the X-Men: Legacy cast throughout Mike Carey’s run, arriving in San Francisco during the Utopia run and occasionally appearing as background characters in other series. 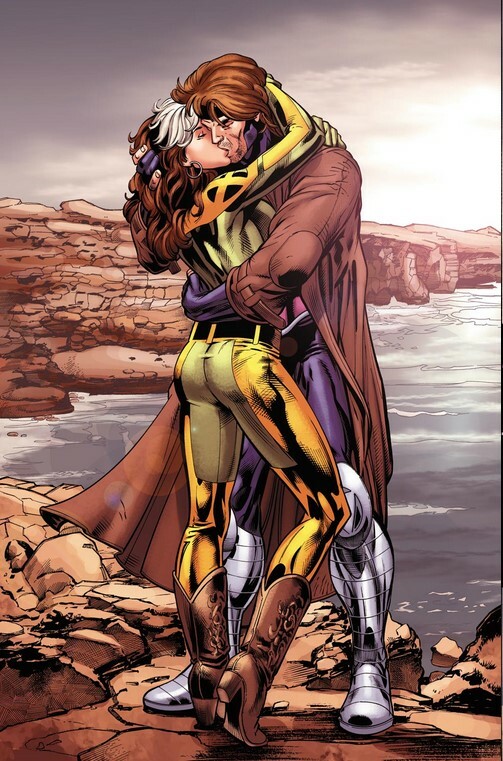 The two remained in an uncomfortable, undecided state – particularly so when Magneto arrived on the island of Utopia, with predictable sparks ensuing between the Master of Magnetism and Rogue. Meanwhile, Carey ensured we remembered that the Death persona was still bubbling under the surface. This came to a head in the X-Men: Hellbound arc, where Gambit was one of a group of X-Men sent into Limbo to find Magik. The nature of Limbo is to twist and corrupt, and Death took over. Only Blindfold seemed to suspect anything from this (X-Men: Legacy #244). Gambit and Storm featured in a Curse of the Mutants spin-off, and the Cajun then headed off on a road trip with X-23 (X-23 #2-13), in which he helped Laura accept her humanity and once again got drawn into the plans of Sinister. After the events of Schism, Gambit headed off to the X-Mansion with Wolverine, becoming little more than a background character until Astonishing X-Men #38, when he became part of that comic’s field team until it came to an end. Finally, in 2012, the Cajun Charmer got his second ongoing series. This fun series lasted 17 issues, and attempted to explore the many different sides of the character and firmly install him in the wider Marvel Universe, with guest appearances including MI13 and War Machine. The cover of the final issue! 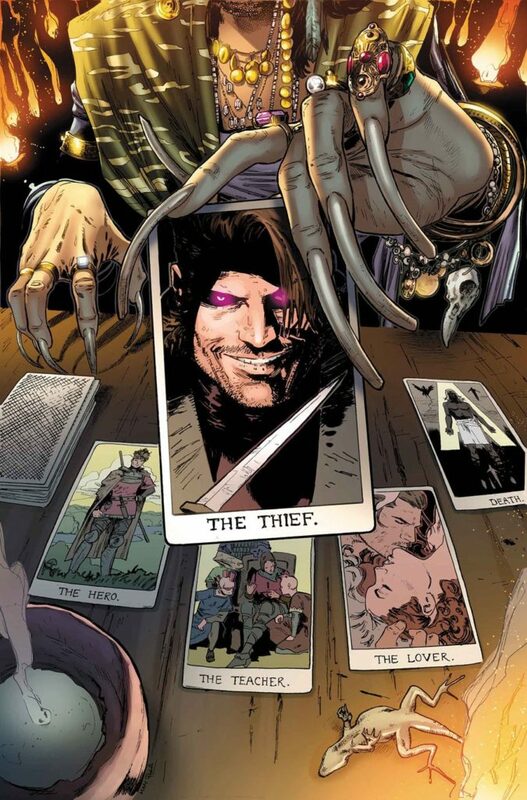 Gambit can now be found as a member of Peter David’s All-New X-Factor, where he’s fallen under possibly one of the strongest long-running X-scribes of the current day. I’m just getting into comics now so I’m just looking into these threads, but Gambit has always been a favorite of mine since I watched X-men cartoons back in the day. My question is does Gambit’s reading order tie into the main reading order, like in the guide posted as Complete Marvel Reading Order? Is there a ‘best place’ for me to read his issues to understand surrounding events? It’s not perfectly tied to the complete order. I’d recommend using the big events as a barometer for where to place these Gambit stories.